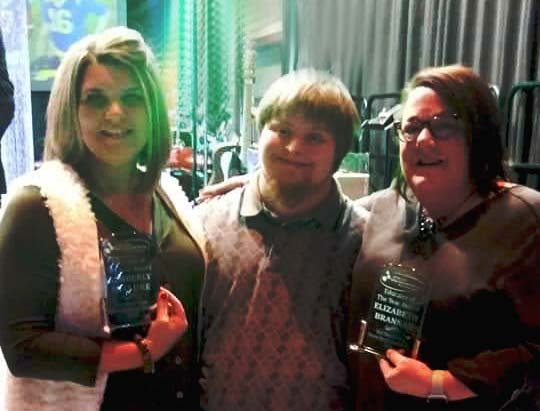 Elizabeth Brannen and Kimberly McClure, teachers at Paris High School, recently received Educator of the Year Awards from the Red River Valley Down Syndrome Society. Experience, educational, professional and community involvement, and teaching philosophy are the criteria considered for the award. Steele Vaughan, one of the teachers’ students, assisted with the presentation of the award at the annual Snowflakes & Diamonds Gala on January 12.